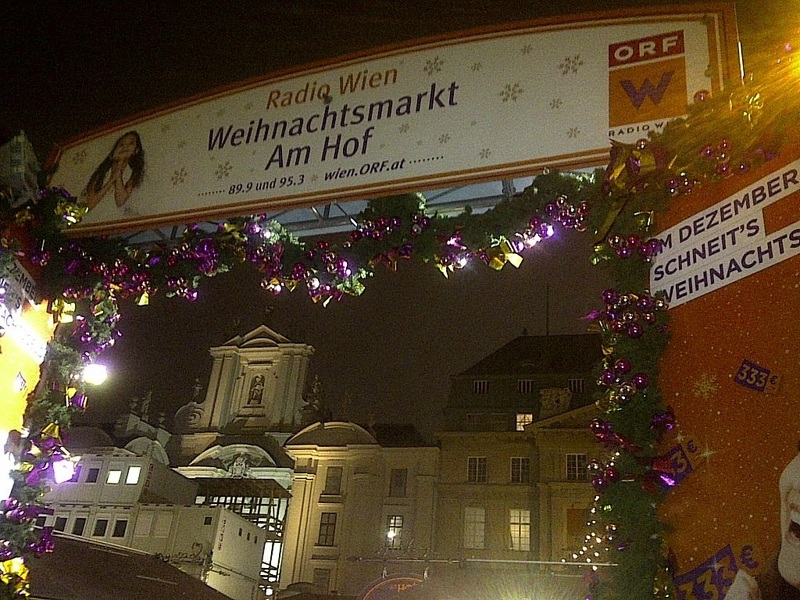 Vienna’s Christmas Markets 2014 – Tis the Season for Glühwein and Cheer! Cause Jolly Ol’ St. Nick do we have Christmas in this town! 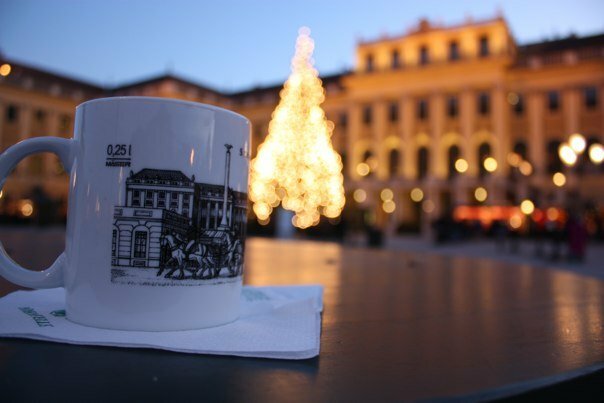 Not able to swing by between now in Christmas – poor you — but don’t fret – you can always bring a bit of the Christmas Market home to you by brewing up some Glühwein (see “How to” of Glühwein post: http://www.kcblau.com/gluehwein/). In Vienna? 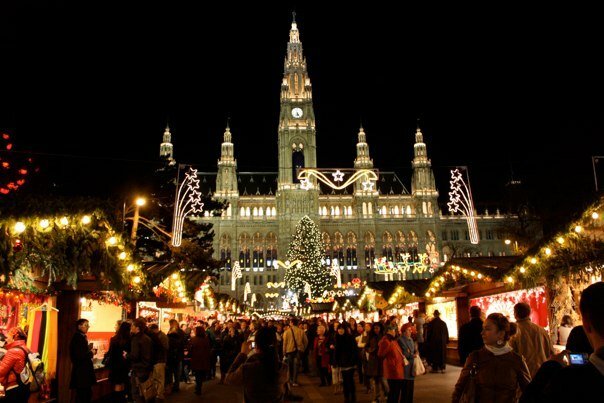 Then saddle up your sleigh and start making your rounds because there is a lot of Glühwein to be kosten here (or go for some Punsch if you dare). 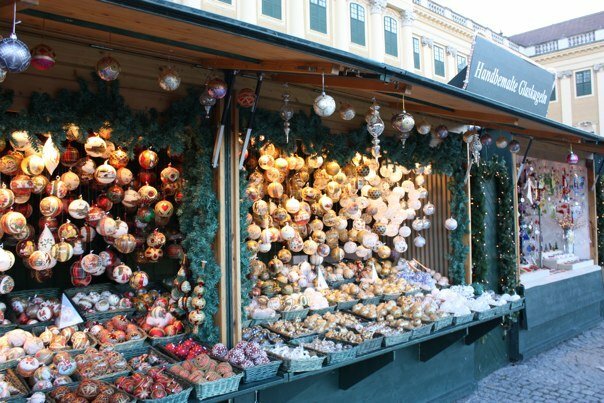 Now, if anyone asks, what’s the appeal of your evening market outings, act all Christkindl like and claim it’s all about finding just the right present for that special someone. 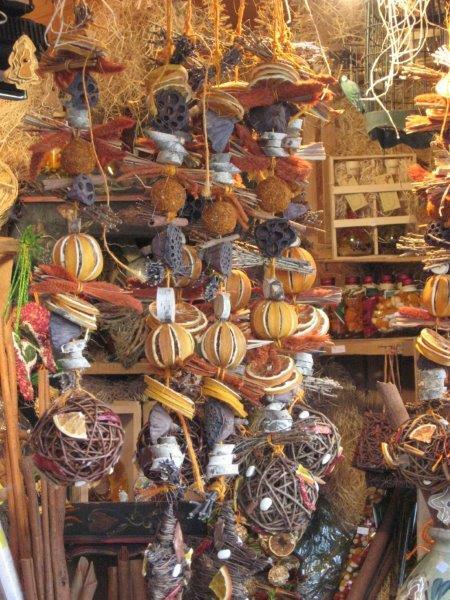 The Viennese will give you a knowing nod cause they know why one is hanging out at the glittery tinsel strewn mistel toe stands this time of year and it is NOT to buy another beeswax candle. Meet up with friends at one or — what the heck – all 21 or so markets and 1131 stands– so many choices and so little time and you have oh so many friends! And if you don’t there are plenty of potentials all hanging out at these markets all over the city. Wer nicht wagt, der nicht gewinnt. Let’s face it. You could very likely be just one Glühwein away from your lifelong very best friend. Or two. Or three. 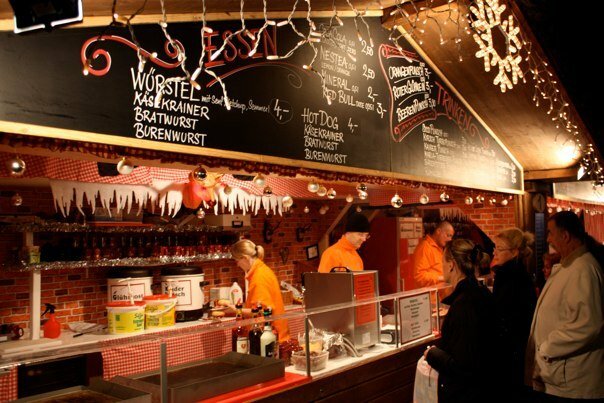 Important – the place to meet at the market is none other than the Glühwein stand. Suggest somewhere else and you are a hopeless foreigner. But same rule here as for the Sturm outing (see Sept. blog post: http://www.kcblau.com/?s=sturm) – no singing until the Austrians whip out their lighters and break out into the first verse of Stille Nacht (they rarely know the second). Once that happens, Unsilent your Night till the Fiakers roll home (or return). 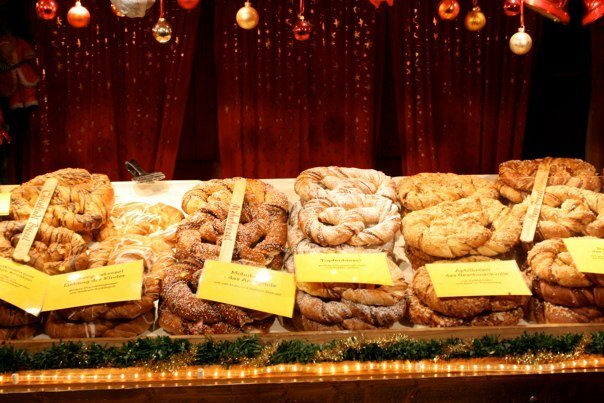 Where’s Christkindl? An indoor market? Candle light parade? 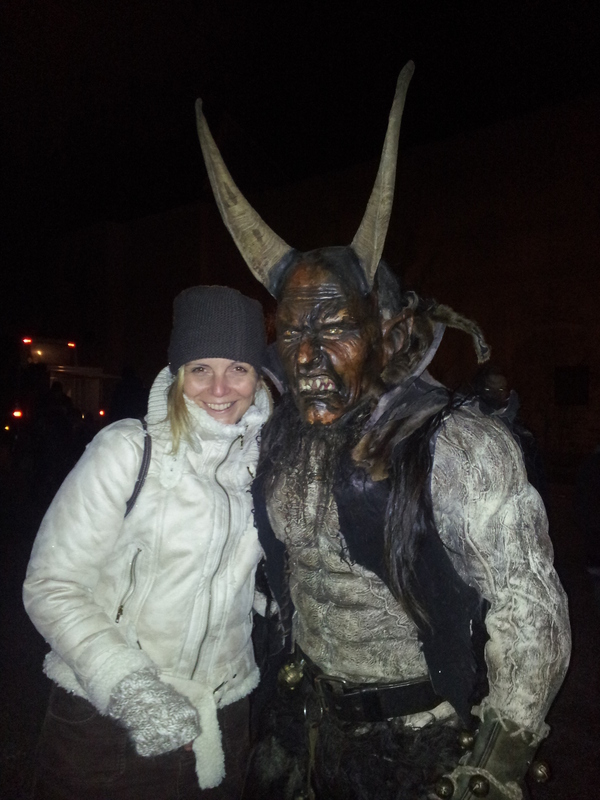 Krampus? Abba? 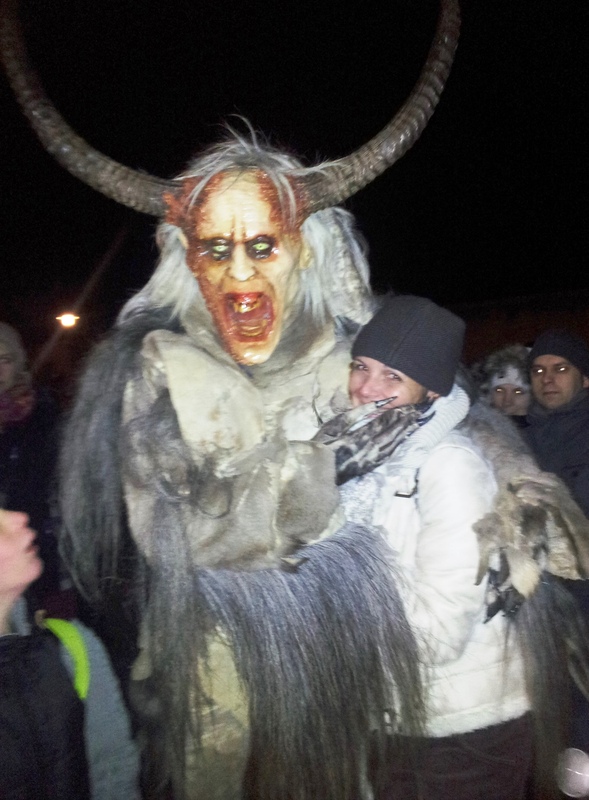 Fri, Nov 28: KRAMPUS! @ 6 pm. Don’t miss ’em. Followed by Ron Glaser & Band at 7 pm. 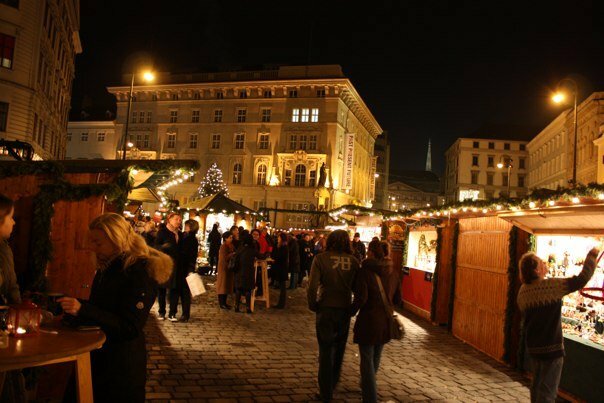 Public: U3 to Herrengasse, 2 minute walk over Haarhof and Irisgasse; U1 to Stephansplatz then 10 minute lovely walk over Graben towards Meinl, then the Bognergasse; U2 to Schottentor then walk up Schottengasse, past (or first at) Freyung Christmas Market, further up road and hit Am Hof. Celebration at opening on Friday, Nov 22 at 5 pm. They’ve got Llamas, folks! Fri – Sun, 2 pm – 5:30 pm Amadeus and Diego await your Llama love. Start: Nov 19 Daily 11am – 10 pm. 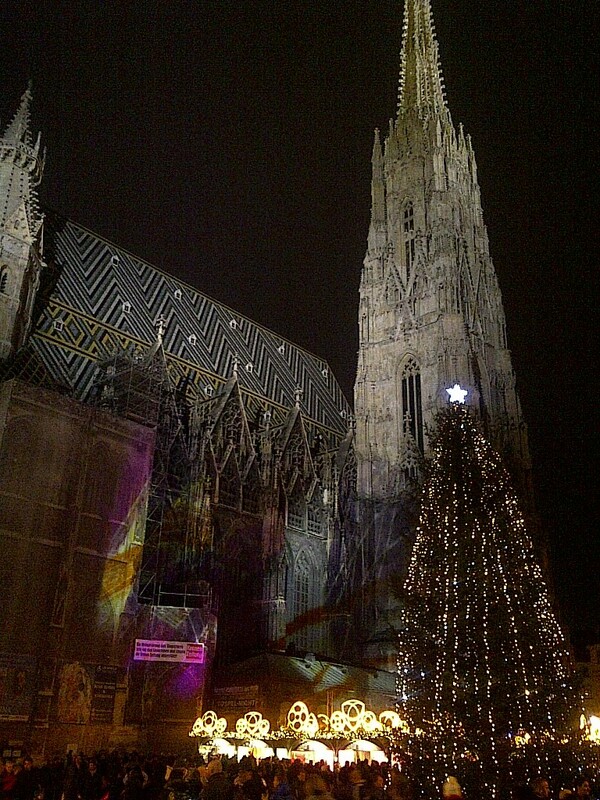 Pink Christmas in Vienna NEW! FIRST YEAR! Start: Dec 1 – 24, 26- 31. Every Thurs – Sat starting at 7 pm – live concerts with gospel, pop and soul music. 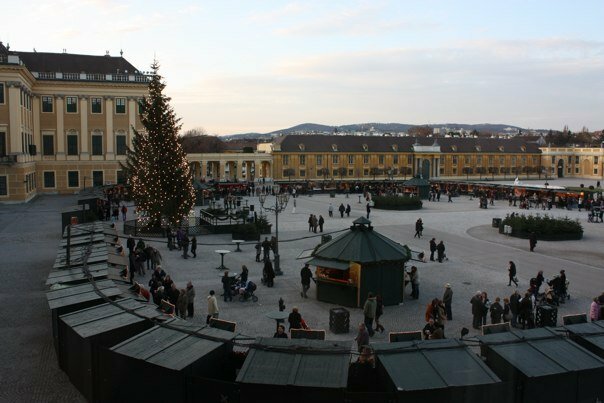 More Highlights: Lighting of the Christmas Tree: Saturday, November 15 at 5:30 pm with over 1000 energy efficient lights. 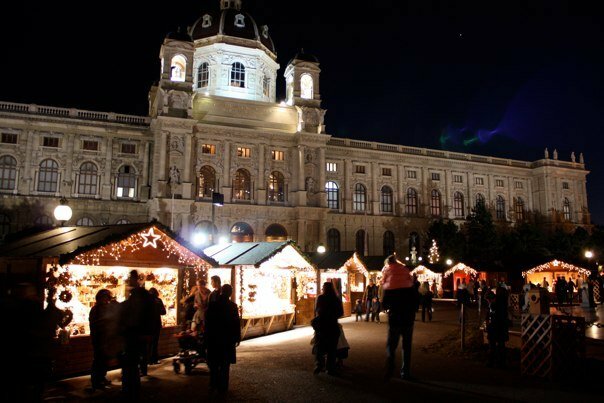 Starting Nov 17, Vienna’s high society will be reading Christmas stories at 6 pm almost every day at the “Himmelsbühne” (Heaven Stage). Beautifully situated in the front of Schönbrunn castle. For crafts lovers and everyone else. One of my all-time favorite markets. The cobblestone lanes and little houses just feel like you are on the scene of Christmas train set. More than 100 stands and over 25 years old. Start: Nov 14, Mo – Thurs 2pm – 9pm; Fridays 2 pm – 9:30 pm, Sat 10 am – 9:30 pm and Sundays and Holidays 10 am – 9 pm. Right beside Steffl, it doesn’t get more Christmasy than that.